We all want the best for our kids, right? Well, poor nutrition can plague our children for the rest of their lives. The earlier we can start feeding our children the right foods and setting up good eating habits the better. 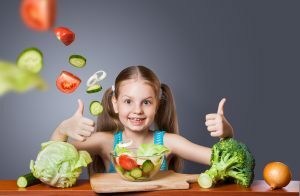 So if you have concerns about your child’s eating habits and not getting the best nutrition for growth and development, or perhaps your child won’t eat meals, avoids a certain food group such as vegetables, has a limited food repertoire, has difficulty eating or reacts to certain foods this information will assist you to understand the various causes of picky eating – both physical and behavioural and what you can do to have your child reach her full potential. Eating skills: Eating is the most complex, physical task humans engage in. It is the only physical task that uses all the body’s organ systems; the brain and cranial nerves, heart and vascular systems, respiratory, endocrine and metabolic systems, all the muscles of the body and the entire GI tract!! Fine motor skill problems: Can your child use utensils well, and grasp her drinking cup? Difficulty in this area may lead to your child favouring some foods (easier to pick up etc) than other foods she has difficulty handling. Ø Food allergies or intolerances. The seven most common food allergies (over 90% off food allergies in young children) are caused by milk, eggs, soybean, wheat, peanuts, tree nuts and shellfish. 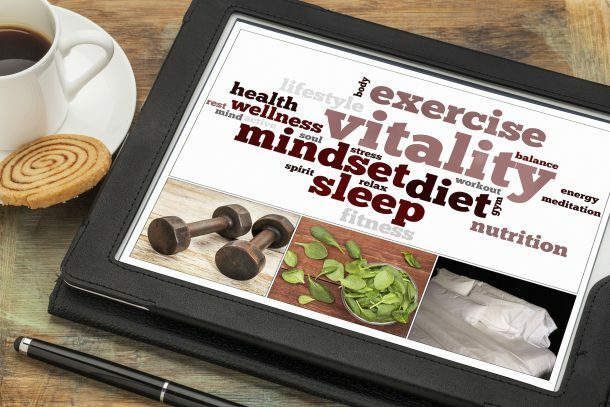 Ø Lack of minerals – lack of some minerals can cause loss of appetite, poor assimilation of foods, vomiting, reflux associated with certain foods. Tissue salts are able to improve these conditions by restoring balance to the cells of the body improving overall appetite in children. Ø Childhood anorexia. A relatively rare condition characterised by extreme food refusal (eating very few or only one food or very small amounts of food) and loss of appetite. Improving nutrition will often improve appetite. Little or no appetite at mealtimes: Do you have a schedule by which your child eats her meals and snacks and drinks her liquid? Does your child nibble and snack throughout the day or fill up on milk before food. This may mean your child is full at mealtimes and may not eat much or any of her meal. You may need to rethink mealtime structure. Overfeeding: Does your child give clear signs that she does not want to eat. Do you recognise and respect these signs? Parents may need to work out why the child is not hungry at mealtimes or if you are trying to give your child too much food given her age or size. Food jags: Offering the same foods to your child day after day can lead to food jags. Food jags are periods of time (days or even weeks) when your child will eat only one or two foods. Food jags often occur during toddlerhood because toddlers feel comfortable with foods they know and trust. To prevent a food jag, you must rotate your child’s favourite foods and continue to offer new foods. Allowing the child to continue on a food jag can cause him to develop a restrictive food repertoire, which puts him at risk for nutritional deficiencies and poor growth. Learned behaviour: Behaviour is linked to beliefs. Even at early age children can pick up cues from caregivers – vegetables are yeuch, chocolate and ice cream is a reward for eating your meat. Check out your association with food and be careful only to pass on positive beliefs around food. Eating problems can be a power and control issues.Under 3’s: Control is a developmental stage for two-year-olds. A 2-year-old is realising that she can make her own decisions. The more you try and impose rules and regulations on eating and table manners, the clearer it becomes to the toddler that the meal table is one place she can always get your attention and concern. Over 3’s the power and control issue can go on. Over three’s are also learning how to behave. Learning to sit at a table with others and use eating utensils is a difficult task for preschoolers. There are many spills and messes. These mistakes are not misbehaviours. Stay calm and look for opportunities to praise your child. Be uncritical. Extra attention during the mealtime such as coaxing, threatening or reasoning can unintentionally reward children for misbehaving or not eating. 1. Solutions to environmental issues. Check the environment in which your child is eating. Provide a beautiful, quiet and peaceful space during mealtimes. Have your child seated when eating and drinking? PROBLEMS WITH EATING SKILLS WHAT CAN YOU DO? Once a nutritionist or dietitian has completed her examination of your child and created a nutritional care plan it may be time to visit a speech therapist for a feeding evaluation. PROBLEMS WITH FINE MOTOR SKILLS WHAT CAN YOU DO? Improve these skills through age appropriate toys such as grasping small toys, posting blocks, moving toys and objects from one hand to the other….and so forth. You may wish to book in with an occupational therapist. NUTRITION AND DIGESTIVE ISSUES WHAT CAN YOU DO? Ø Have your child seen by a nutritionist to assess nutrition or digestive issues and to test for allergies or intolerances. Who is the best judge of the right quantity? How much food a child eats each day can vary considerably and on days when they don’t eat well parents often worry unnecessarily. A common mistake made is to believe that you, the parent knows better than your child how much they should eat. You may have in your mind a set quantity. It may be the contents of the jar you have opened, the quantity of food you have lovingly prepared or the amount another child has eaten. It may even be an educated guess based on roughly the amounts eaten over the previous few days. 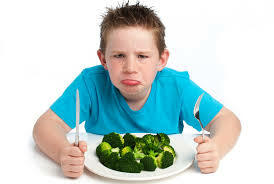 The snag in all this is that children’s appetites vary widely from day to day and on how they are feeling at the time. It is vital to respect your child’s decision that they have eaten enough of what you are offering. Many problems are set up by extending the meal to coerce the child to eat more. The parent usually ends up losing; you invest time and effort with little return, and your child can become miserable and upset. If this pattern occurs repeatedly, your child will begin to associate meal times with stress and anxiety and will try to avoid them. • hold food in their mouth without swallowing it. Respect their decision and take the uneaten food away without showing them with body language or facial expression that you are upset or worried. In the long term, it is important that children learn to know when they are full. Older children who haven’t learnt this feeling of satiety can eat larger quantities of food than they need and may become overweight or obese. Remember to praise your child verbally, and with a smile, when they are eating. If they only receive your attention when they don’t eat, then they may refuse to eat to gain your attention. 4. Children don’t need to eat well at every meal, every day. The amount of each nutrient needed to keep them healthy is an average figure. Most nutrients are stored in the body, and these stores will last them some time. If they don’t have milk one day, their bones will not crack up. Be satisfied that over a period of two weeks or so, by eating more on some days and less on other days they will be getting on average what they need. If each meal is balanced and nutritious, when they do eat well they will be getting plenty of nutrients. Why might your child eat less than usual? • Their reduced appetite may be because they are tired. Children enjoy a routine and regular meal times. However, life does not always go to plan. In general, try and avoid meals too close to bedtime or their daytime sleep. If this is unavoidable make the meal more a quick snack and a drink of milk and give the meal later when they are wide-awake and alert. 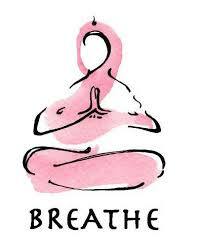 • There may be too many other distractions competing for their attention. If you are out, they may be more curious about their new environment or the people there, than the meal. One lost meal won’t matter, and they will probably eat more at the next meal that you offer on familiar ground. • They may not be hungry because they are not feeling well, yet don’t have the symptoms of a temperature or a runny nose for you to notice. Painful gums during teething will reduce their appetite. Insisting they try to eat will make them more miserable and may put them off the food you are attempting to feed. An association with the food and feeling sad may be set up. • They may not be particularly enjoying the food. 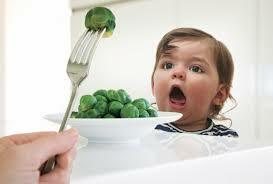 Children’s taste buds are very sensitive and change with time. You may be offering food that they have enjoyed in the past, but they have now become bored with it. Offer two courses: a savoury course followed by a pudding. It gives two chances for calories and nutrients to be eaten. Make sure desserts are nutritious, based on some fruit and containing other ingredients such as flour, milk and, or eggs. Some children prefer foods that are not all mashed together so that they can choose to eat more of one and less of another. Give them their own spoon (knife and fork if older) so that they can feed themselves and include finger foods often. Most children will be getting an adequate intake, and most feeding problems resolve with time but for some youngsters they can become a long term problem and affect growth. So if you are at all worried, keep a written record of what they are eating for a few days (without them knowing). Usually, you will find they are getting enough – but if you are still worried talk to a dietitian, nutritionist or other health professional. 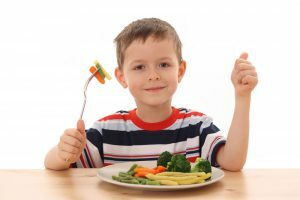 WHAT CAN YOU DO IF YOUR CHILD IS NOT EATING? Try to remain calm and don’t feel it is your fault. There are many reasons why some children do not enjoy eating. It may be related to something that happened when they were very young over which you had no control. You may never know the reason why food is less enjoyable to them than others. Set up rules around food and eating for your house. Discuss mealtime rules with your children. “In our house we…” and stick to the rules. Before mealtimes ask children to tell you the rules. Calmly remind them if they don’t remember. Get your kids involved in shopping, preparation and cooking. One sure way to get kids interested in eating well is by involving them in the whole process from an early age. Even two-year-olds can mix the muffin mixture, shred some lettuce or arrange a cut tomato on a plate. Older kids can help make snacks – muffins, muesli slices, put together their hamburgers themselves, or add toppings to pizza, decorating fairy cakes and once they are old enough cook a meal for themselves or the family – from as simple as beans on toast to making apple crumble. Let children go and find shopping items for you while at the supermarket. Ask their advice on which foods to buy – berries or peaches, spaghetti ribbons or twirls and let them help pack/unpack the shopping. Give them responsibilities around setting the table.Note: ensure your child is not in any danger – hot elements, knives, mixing blades while cooking/preparing food. Be prepared. Busy working parents? Then put aside time at the weekend/evenings preparing and freeze meals for the week. Go shopping at least once a week to ensure the pantry is full. Think about what healthy breakfast, snack and dinner ingredients to buy before you go. Get up half an hour earlier to prepare lunches and snacks or better still get your children to clear away breakfast while you make them. Get into a mealtime routine. Regularly family mealtimes, including morning and afternoon snacks, will help kids to pick up good eating habits as well as being a very good time to get the family to communicate with each other. Ø All meals should be eaten sitting down at the table – even snacks. Ø If breakfast is a rush, try getting everyone up ½ an hour earlier to eat at the table and not on the run…breakfast is the most important meal of the day, and it is vital that we all have a good breakfast. Ø With toddlers it may not be possible in the week to all eat together, especially if one or both parents are working. But make time to sit with your children while they are eating – even have a small plate of healthy veggies yourself to keep them company. Make mealtimes a social occasion, with the family eating and chatting together. Children may lose their appetite if they are shouted at, coerced to eat more food when they have had enough or dislike the food, continually offered food throughout the day, or rushed. Provide a variety of foods. No child is going to enjoy food if the same old thing is put in front of them every day. Variety also enables your kids to get their full quota of nutrients such as carbohydrates, fats, protein, fibre, vitamins and minerals. Variety also means a variety of textures – crunchy vegetables, foods to chew on, custards, stewed fruits…and colour – aim for orange, red, purple, green fruits and vegetables. Aim for a number of different meal ideas and foods each day to keep them interested in healthy eating and to maintain or achieve health and vitality, today and long after they have left the nest. Make sure each meal is balanced and nutritious so that when they do eat well, they are getting plenty of nutrients. Make it taste good. You will be surprised how kids take to herbs and spices as flavouring. Try mild chilli or curry powders/spices, garlic, cinnamon, basil, parsley, coriander, etc in your cooking instead of using butter, tomato sauce and other processed sauces as flavouring. Do not salt their food – use lemon salt as an alternative. Offer you child small portions so that they do not feel overwhelmed by a large plate of food. Praise them when they finish it and offer a little more but don’t insist on this. Some children find it easier to drink than eat and fill up on large quantities of fluid. Then there is no room left for food in their small stomachs. Give all drinks in cups and limit drinks between meals to water. Don’t give any fluid for half an hour or so before a meal. Keep milk and milk products to 3 servings per day. Mix food favourites with those not so favourite, and introduce vegetables as a component of a recipe – e.g. add grated carrot to meat hot pot or peas to potato fritters. Ensure kids aren’t full up with junky snack foods before meals – a sure way to have them reject those beautiful meals you have cooked for them. Offer food at regular meals and one small snack half way between meals. The rest of the time don’t offer any food. Don’t give sweets and chocolates ‘just so that they have eaten something.’ Always give something you know they will eat at each meal and snack in addition to new or less favourite foods. Praise them for what they do eat and don’t show you are anxious or upset when they do not eat. Change the venue of meals and have an impromptu picnic with everyone in the garden or on the playroom floor, make it fun! Set a good example. Remember children learn by copying so eat with your child as often as possible. Show them that you find eating fun and pleasurable. Don’t use foods as a bribe or as a reward. If you offer Food B as a reward for eating up Food A, you are telling them that Food B is a desirable food and Food A is not desirable – usually the opposite to the health message you have in your mind. Make the transition from junk food grazing to structured and healthy meals. For obvious reasons, we need to encourage our children to eat good wholesome foods, rather than takeaways and processed foods. If your child is overdoing the junk food here is a way you might want to tackle the transition to healthy eating with your kids. Explain why some (not so healthy) foods they have regularly been eating now need to become treats. Explain in a positive and motivational way that will appeal to them – so you can make the school team, stop getting sick, run faster, have more energy, do well at school, get fitter. Ø What constitutes a treat – e.g. one bag of chips, one pie, one can of fizzy drink, one ice-cream, etc. It is important to involve your child in the transaction process and to explain why these foods are now treats, so they do not feel they are being punished or feel humiliated. Note: A star chart is a fabulous idea; once a child has gained a certain number of star stickers over a period of time of time (ideally a week), he or she is given a (non-food) reward. Agree the reward and time at the start of the contract. If one meal turns into a disaster, don’t feel guilty. Put it behind you and approach the next meal positively. Parents also learn by making mistakes. Thanks for posting this. I love what you’ve got to say.